WILLEMSTAD – According to a report from the Aruban news site NoticiaCla.com the employees of InselAir Aruba are taking their employer to court this coming Friday. The reason, according to their lawyer David Kock, is that the airline failed to transfer the pension and tax funds to the government. The employees calculate that the airline has been doing this in the last two years. Now through a court order, they want to force the airline to comply with these two funds. 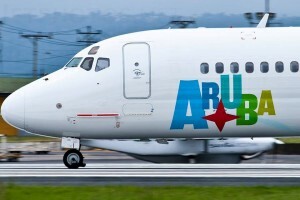 According to NoticiaCla.com the CEO of the company in Aruba confirmed this news and said that the airline wanted to reach an agreement with the employees through negotiations, but they decided to take this case to court. InselAir respects the right of these employees to take this action,” said CEO Frederick Nuboer to NoticiaCla.com.